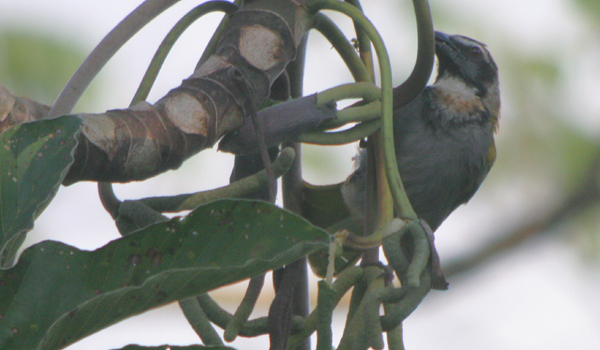 Many thanks to Paco Madrigal of Cotinga Tours who corrected the identity of this bird. 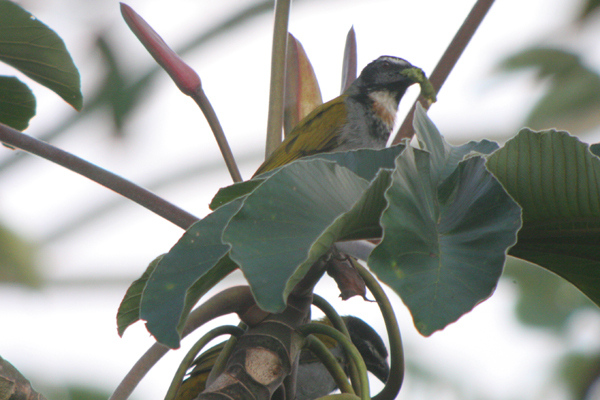 The original post called this bird a Buff-throated Saltator but it is, of course, a juvenile Black-headed Saltator, which, just to confuse novice neotropical birders, have a buffy patch on their throat! This post has been submitted to Bird Photography Weekly #31. Go check it out! I kept trying to figure out what species of tanager I was seeing even though the big bills should have clued me in to the fact that I was seeing a saltator, which is the name given to some tropical grosbeaks. 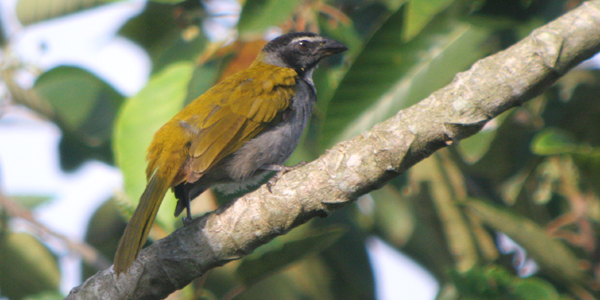 On the upside, some recent phylogenetic studies have indicated that saltators are tanagers, rather than cardinalines. Great post Corey. 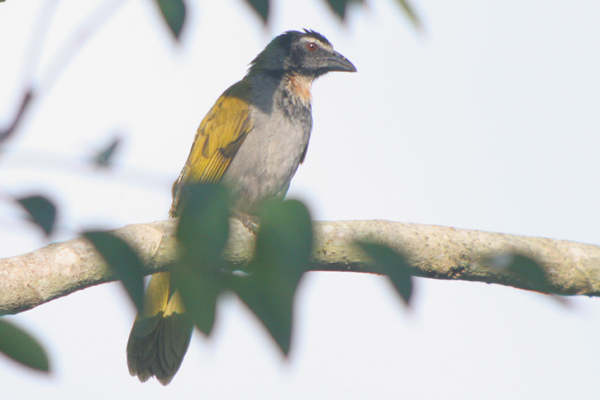 You got some nice shots of the Buff-throated Saltator too! It’s amazing the chances we get to see more after having seen the bird in real life and then going back to see the photos. I took some shots of some Common Mergansers the other day and never even noticed the Killdeer standing right next to them as they preened! Very nice photos…That is one strange looking bird. That is a cool looking bird. Would have been fun to see in real life. I enjoy seeing your pictures. Identifying young birds can be tricky. While I can see why you would think that the bird in your pictures is a Buff-throated Saltator because of the little bit of buff color around the mostly white patch on its throat, but this is actually a young Black-headed Saltator (Saltator atriceps). 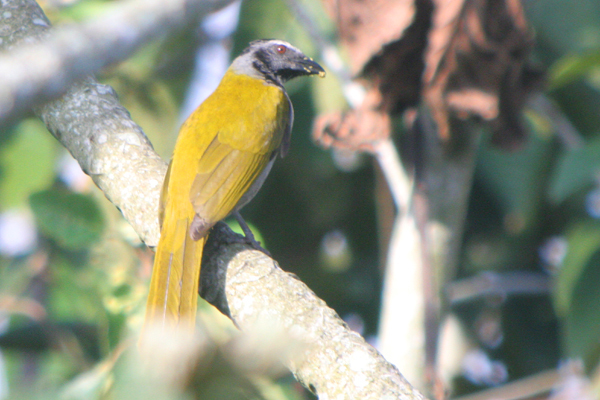 On the Buff-throated Saltator, the olive green color on its back goes all the way up to the top of its head whereas the Black-headed only has olive green on its back and has a black head. Happy birding. Hope to see you in Costa Rica some day.